Open-mic night is a microcosm of music. 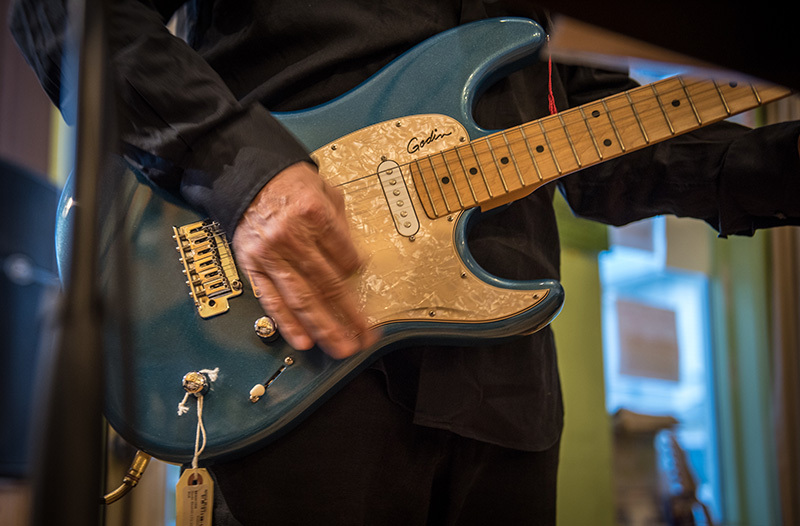 For music lovers, open-mic night at Island Music is a perfect time to get a glimpse of the diverse and expansive musical culture on Martha’s Vineyard. 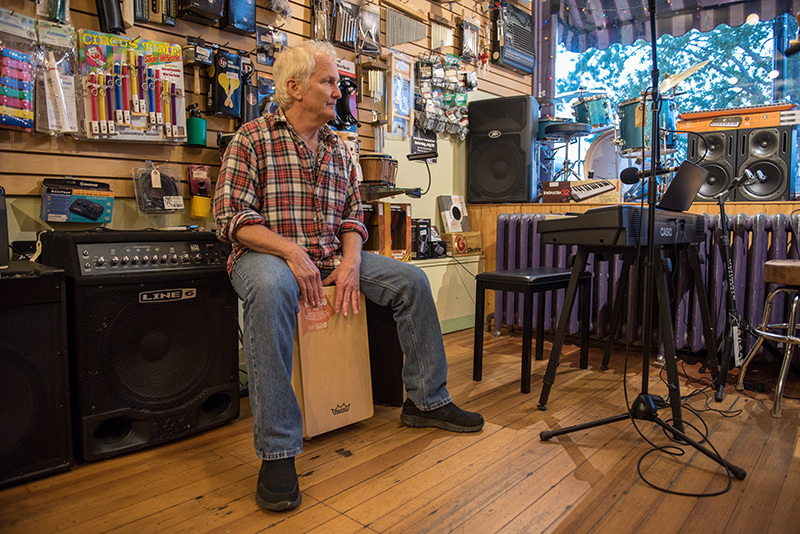 The microcosm of local musical talent is exemplified perfectly in the small store, where a mix of pianists, guitarists, and vocalists put on a show for a miniature audience. This small-scale venue allows folks who aren’t used to playing in front of others the opportunity to dip their toes into the world of public performance. Anybody who wants to come into the store and play simply needs to sign their name on a sheet of paper and pick out an instrument. 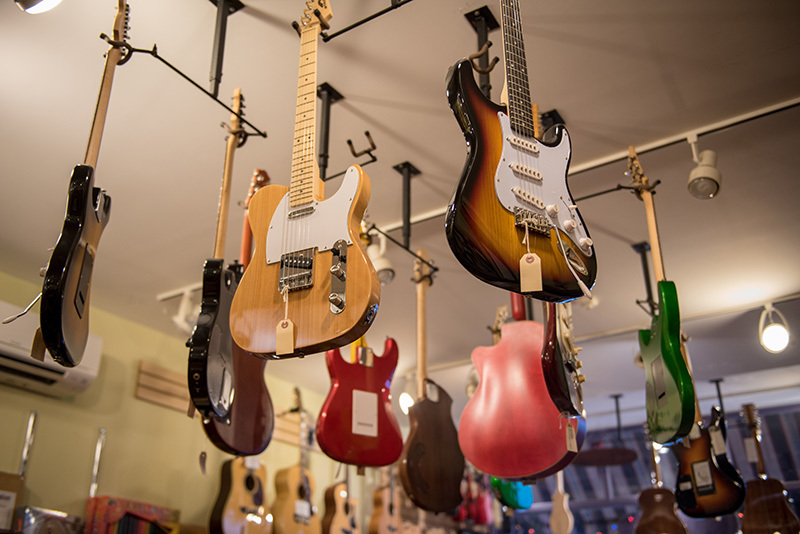 Folks can choose from a vast array of instruments, including Martin and Taylor guitars, all with the tags still on them, straight off the rack. Of course, musicians have the option of bringing in their own instruments to tune up and plug in. Williams kicked off a recent night of performances with a rendition of “Norwegian Wood” by the Beatles. Barry Meekin played “Wagon Wheel,” a song co-written by Bob Dylan and Ketch Secor of Old Crow Medicine Show. “It’s a really tame environment in here,” Meekin said. “People don’t usually throw stuff at you,” he added jokingly. O’Gorman wore a harmonica in a holder and played several accompanying solos when he wasn’t busy singing. Another employee of Island Music, Rich Giaimo, mixed things up a bit when he hopped on the keys and played Frederic Chopin’s “Polonaise in A flat major” from beginning to end. Giaimo studied piano in college, and said he has been working for a while to perfect the technically challenging and physically demanding solo composition. The night ended on a strong note, with a number of local performers debuting their musical talent and sharing their creativity with the Island community. 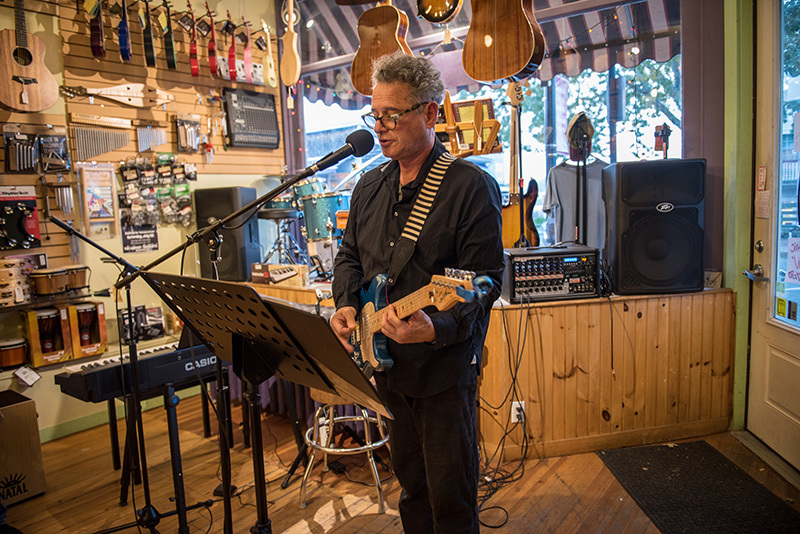 Island Music hosts Open Mic Night every other Tuesday, and will continue to host the event through the winter. The next open mic night is Tuesday, Dec. 4. For additional information, call Island Music at 508-693-8596, or visit islandmusicmv.com.